Can this instant ramen really taste as good as restaurant quality? 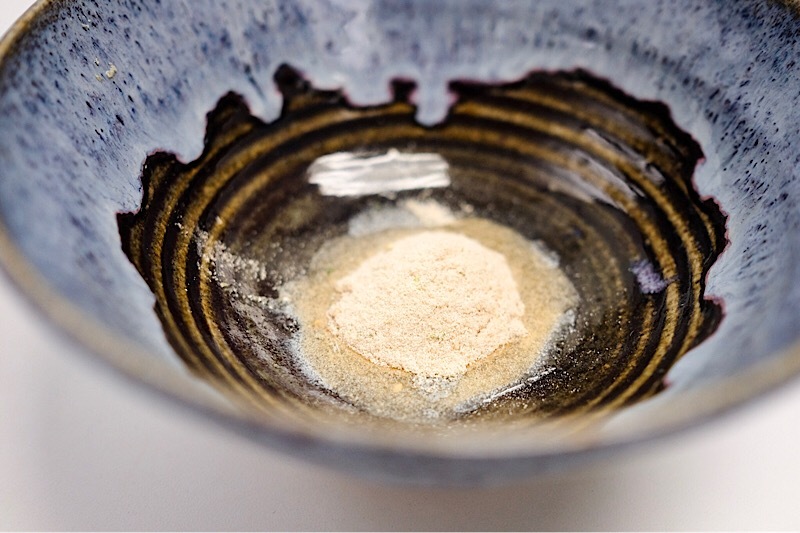 What I found at … is a series that tests and vets intriguing store-bought foodie finds. It’s the wide-angle parallel to KaSnack attack!, our series reviewing made-in-Hawaii snacks. 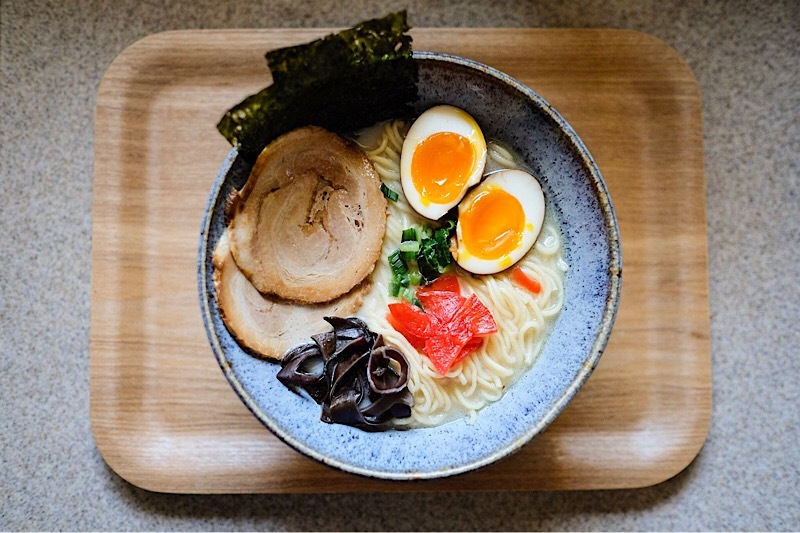 Q: Can this instant ramen really be as good as restaurant quality? 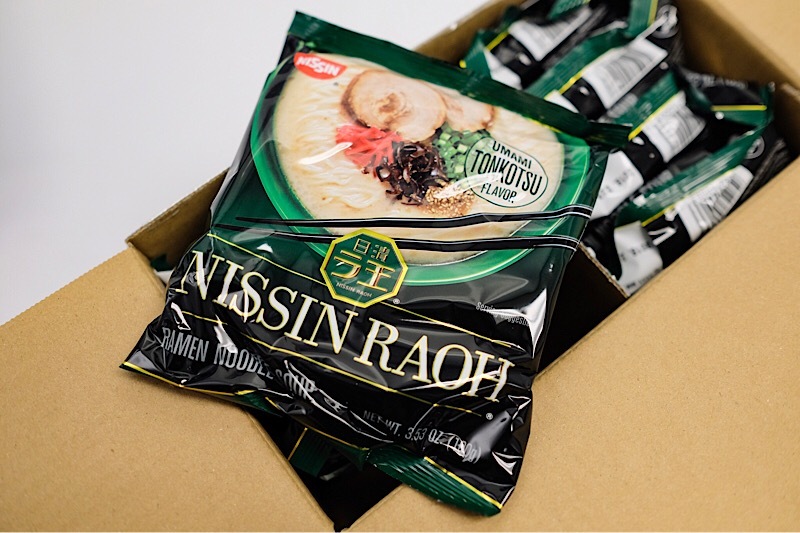 Nissin Raoh is Nissin’s top-of-the-line instant ramen. In Japan, it has a strong following among instant noodle enthusiasts. Yes, it costs several times the price of Nissin’s bargain Top Ramen. But if this is Japan’s best, can Raoh tonkotsu ramen come close to what you’d pay $10 for at a ramen shop? Upon inspection, the difference between Raoh and Top Ramen is immediately apparent. 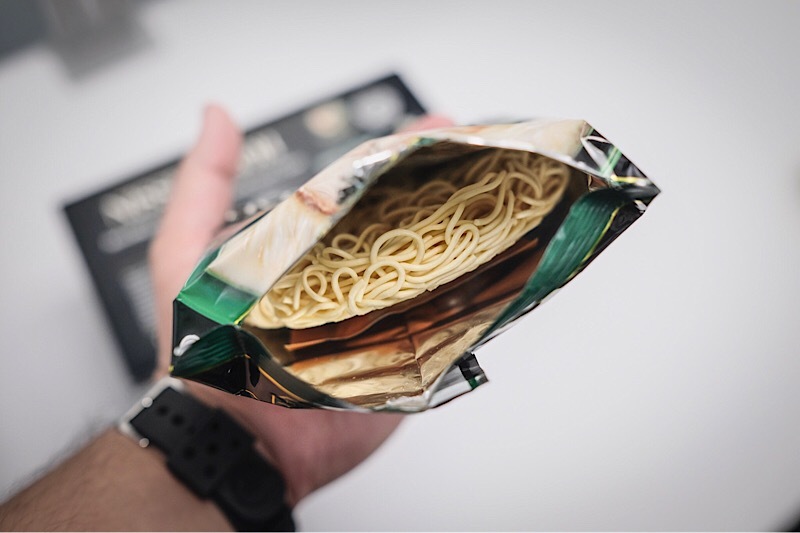 From the thicker, black-and-gold foil packaging to the skinny, unfried noodles and dual flavor packets, the initial impression ironically tops Top Ramen. First, I prepare a bowl ungarnished. To determine if Raoh has restaurant-quality potential, I need to see if the soup base and noodles are worth sourcing and preparing garnishes for a decked-out bowl. One flavor packet is a dry powered soup base and the other is an oil-based umami booster. Dump them both in. I find the soup and noodles to be shockingly good. The porky broth is balanced, not over seasoned or salty, and it has that distinct tonkotsu creaminess. If I hadn’t personally prepared this, I’d have a hard time believing it was made with a kettle of water and a microwave. Tip: Putting the noodles in the bowl, pouring boiling water over them and microwaving the bowl for two minutes produced a better al dente texture, bouncy and full of chew. 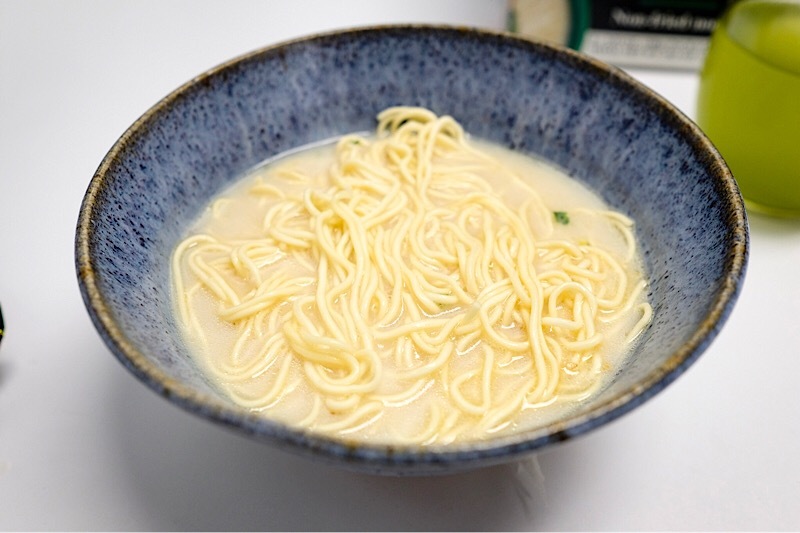 If you prefer your noodles cooked through, boil them in a pot for three to four minutes and skip the microwave entirely. Without garnish, it’s still a satisfying bowl of noodles. So the potential is there. 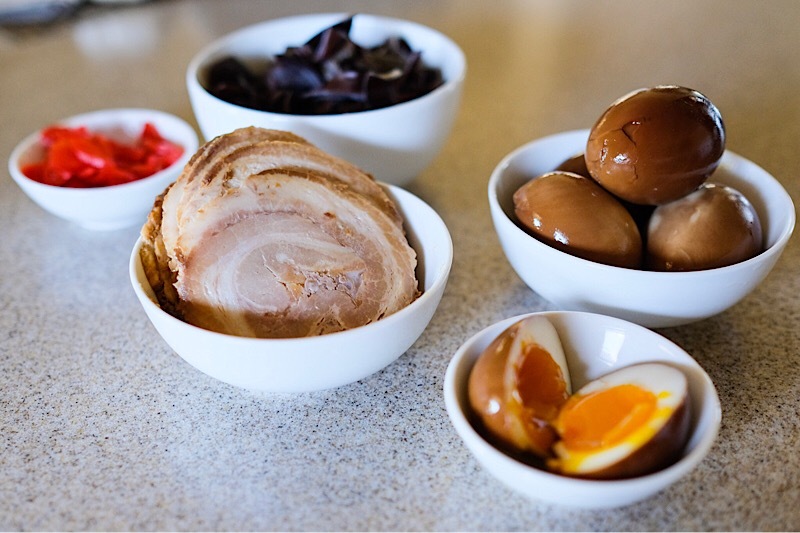 But is there enough to create, as the box says, a restaurant quality bowl of savory tonkotsu ramen just by adding a shoyu egg, chashu slices, green onion and pickled ginger? A garnished bowl of Raoh tonkotsu ramen is actually better than what you find in some strip mall ramen joints. Nissin has magically found a way to produce thick, rich umami depth with two flavor packets. Pick up a box or two. They’ll come in handy on those rainy days you crave a good bowl of ramen, but lack the energy to go out and get it.